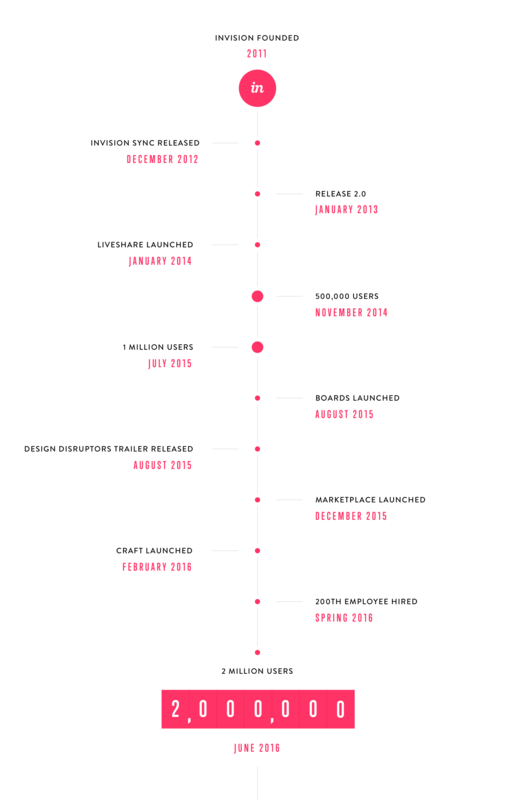 Less than a year ago, we shared that we had reached an incredible one million users on the InVision platform. Today we’re excited to share that InVision has officially hit the 2 million user mark. It’s been an incredible ride, especially given the exciting releases, projects, and events that have been in the works over just the last few months. It’s awesomely inspiring to reflect back on where we came from, but it’s even more exciting to consider what the future will bring. From the entire InVision team to you: Thank you for being the creative force behind what we do every day. Cheers to the future! Clark, also known as “Clark from InVision,” is the CEO and Co-founder of InVision. He’s based in Brooklyn, NY.